We associate sociology with opinion and attitudes research, with making predictions about the next elections, and a lot of other things which appear to be non-essential for this social science. The main task of every sociologist is to find out the reasons and motives, as well as the objective factors for the occurrence of a given process. Sociology deals with groups, communities and societies in general, thus trying to understand the relations within them. You do not need to be a sociology student to understand the processes taking place in a definite society. If you have strong interest in social sciences and humanities, probably this task will turn out to be easy for you. It is enough to have some theoretical knowledge, and also to have true motivation to carry out your own analysis of a social process. Let’s now address the following question: how to write a sociological analysis? Sociology deals with groups, communities and societies in general, thus trying to understand the relations within them. You have to observe a given process, in most cases it is required to have some control over the situation (i.e., to carry out an experiment). In contrast with case studies, however, this type of analysis revolves around finding a principle or rule which appears to be fundamental for the group or community in question. When you are writing a case study, you should merely observe. Writing a sociological analysis demands a good ability for managing and observing a group of people in order to establish regularities or principles. This depends on the topic or idea you would like to reflect on. At any rate, the best is to choose a group of people that you do not know personally, but you have some minimal knowledge about them. Hence, you will be free of any prejudices and stereotypes. Of course, it is not possible to avoid special attitudes you might have even during the observation. What is the topic? Why is it interesting for you? What is the time framework? Where is the observation taking place? You should demonstrate that you not only have performed your research at the best level, but also that you understand its goal. That means you have keen interest in observing the given process, without doing it pro forma. Be short while describing the experiment, but justify your methodology: tell the reader why you have chosen this way of doing it, and that way. The readers may want to analyze the process in question by themselves. Thus, give them the possibility to have access to all data you have gathered during the observation: interviews, surveys, photos, videos, audio recordings, etc. Having finished the draft, revise it carefully. Pay close attention particularly to the coherence of the paper: all the paragraphs should flow, and also be logically connected with each other. Define your hypothesis and interpretation as clearly as possible. 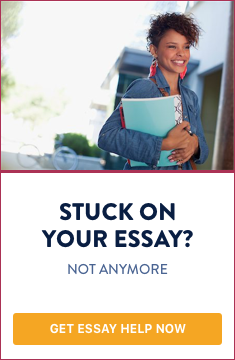 Submit your paper without worry - your style will improve with every single paper you write.